Are the days of the traditional butcher numbered? Between January 2013 and December 2015, the proportion of Australian grocery buyers purchasing their fresh meat at the butcher’s in any seven-day period fell from 23.1% to 17.9%. Has this decline been partly caused by increased overheads and food scares, or is this decline simply due to a larger move away from buying fresh meat in general? After all, as the latest findings from Roy Morgan Research reveal, the overall proportion of grocery buyers buying fresh meat anywhere has also fallen, from 75.6% in 2013 to 70.7% in 2015. But butchers could lay particular blame on the ever-increasing dominance of supermarkets and competition from foreign imports. ALDI is the only major supermarket to have made any real gains in fresh meat sales over the last few years, with 9.6% of grocery buyers 14+ purchasing their meat there in an average seven days, up from 8.5% in 2013 (an additional 265,000 meat-shoppers each week). Coles remained relatively stable, but Woolworths/Safeway (30.7% to 27.3%) and IGA (8.1% to 6.8%) experienced declines; as did markets/delicatessens (9.1% to 8.0%). There is no denying, however, that butchers have seen the most significant decrease in purchase incidence. And, unlike supermarkets or markets/delis, the buck stops with meat for butchers: they do not have the scope to adapt to changing grocery-buying habits with alternative products. Despite the decline, butchers still hold a 23.5% share of the total fresh-meat market, due to the amount their shoppers spend in an average seven days ($37). This is just ahead of the average fresh-meat spend for those grocery buyers who make their purchase at markets/delicatessens ($34). Industry leaders say that the vital role of the local butcher is often overlooked – they are a key part of the community, they are often family-run businesses, they sell high-quality meat and the staff are experienced. However convenience is one of the most important factors in choosing where to shop, which is why the supermarkets do so well – not only in offering the widest range of goods, but in when they trade. Consumers should be urged to draw on their local butcher’s in-depth knowledge about such matters as cooking times, cuts and menu suggestions, so they can improve their own understanding and expand their repertoire of meats and dishes. “Australian grocery buyers appear to be gradually moving away from purchasing fresh meat, and butchers are the most visible casualty. 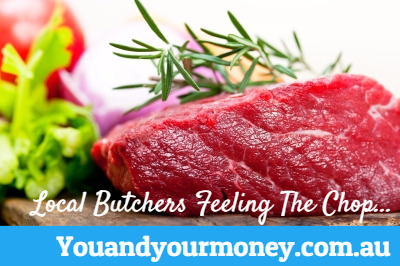 At the moment, despite their shrinking customer base, butchers are retaining a decent share of the overall fresh-meat market due to the above-average amount spent by those grocery buyers who continue to shop with them. But unless they can stem (or reverse) the decline in shoppers, it seems inevitable that butchers’ market share will erode. “The supermarket situation is a little different. The proportion of grocery buyers purchasing fresh meat is decreasing at a slower rate and the customer volume is much higher. Whereas buying from a traditional butcher involves making a special trip, purchasing one’s meat at the same time as the rest of one’s groceries is much simpler. “The news that Woolworths is changing the role of its staff butchers, bringing them to the front of store to sell pre-packaged meat and interact with customers rather than plying their trade out the back, indicates that the supermarket chain is endeavouring to pre-empt further declines.